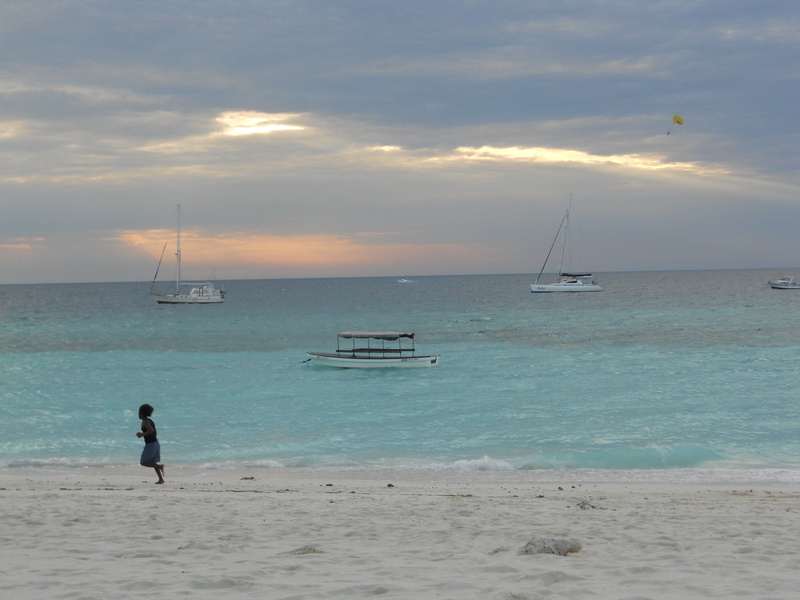 Paradise Found: Nungwi, Zanzibar | Where is Yvette? 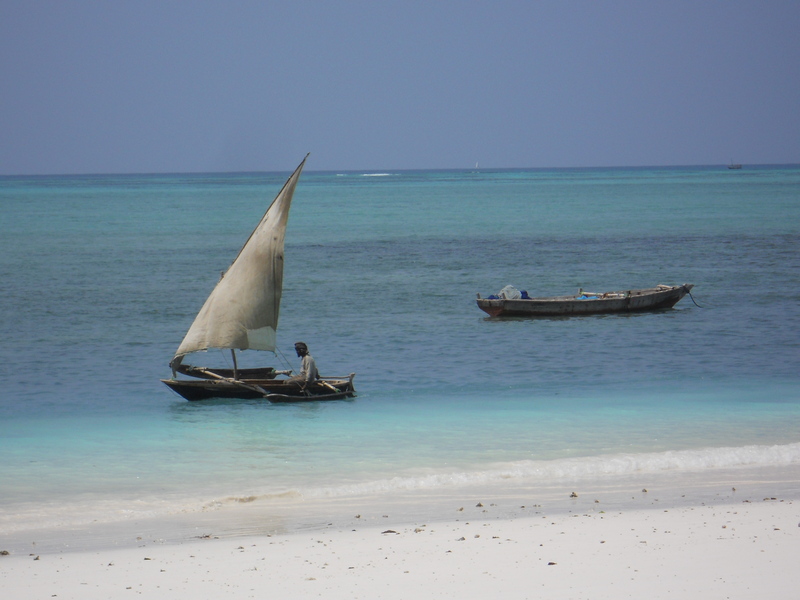 I’d only booked the first night in Stone Town, and due to the ongoing music festival this meant no room at my guesthouse and I’d have to switch to another the next day. But there was no power, it was hot, and the northern beaches were a 1.5 hour drive away, so which would you do? Exactly. 2) Those who hear the local bus aka dala dala goes the same place for much less in the same amount of time, and all you need to do is negotiate the hectic African market and negotiate a price all in the name of adventure. Well seeing as those who opt for #1 are probably still freezing to death in the northern latitudes you can guess what happened next. Prompt negotiations down from US$15 to ~$4 ensued (upper end of what I was told was good for non-locals beforehand, locals pay about 30 cents), and I found myself the only white person on a secondhand Korean bus with several more people on it than there were seats for talking to my seatmate about Obama. (This is East Africa, where everyone liked Bush to the end, so imagine how much they love president whose father is Kenyan!) It’s quite easy to find an adventure around here! When not spending a serious amount of time focused on relaxing (hard work especially after just wrapping up a thesis!) I’ve spent an awful lot of time diving over the past few days. I hadn’t done it since two years ago in Thailand so had a refresher course in the basics first- finding out under 18 meters of water you don’t remember what to do is not the way to go!- then one dive yesterday and two today. 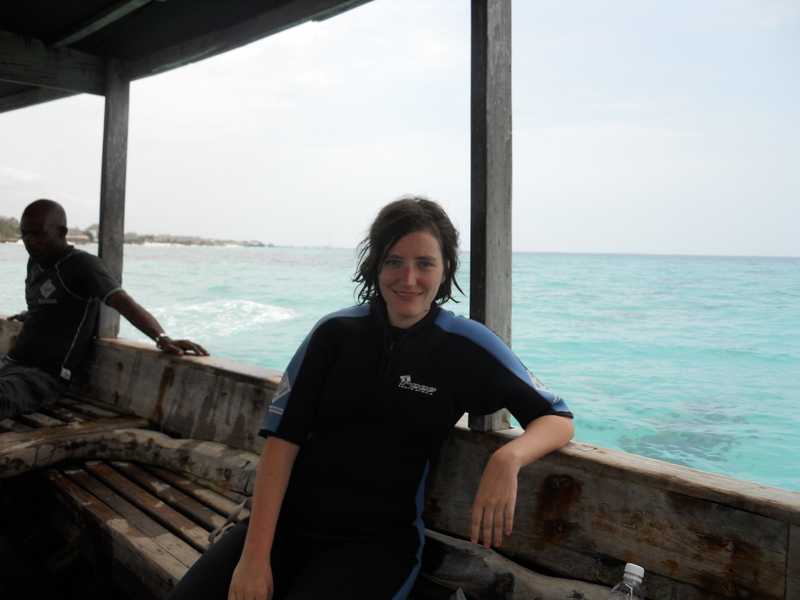 Great fun and prices, and I recommend the creatively named East Africa Divers if you find yourself in Nungwi! Now diving is not a particularly graceful hobby, and someone with less than ten dives under her belt falls doubly so in this category as I don’t quite have a handle on my buoyancy underwater and tend to religiously stay close to the divemaster in a manner that resembles a kid in school too nervous to stray far from the teacher on a field trip. But the ocean is very graceful and I can’t believe it took me two years to get back to doing this- bright corals, colorful fish, cool stuff like stingrays and octopuses and schools of fish that react as one being when you stick your hand too close to them (the last activity is much more amusing than it should be). The sound is something else too underwater as you can hear much more and it sounds like the entire ocean is singing. Very fun indeed! And finally because it’s getting on dinnertime and I’m getting hungry here’s dinner from two nights ago, grilled jumbo prawns because I prefer it to the lobster (although neither meal exactly breaks the bank- I think this was a little over $10 cause it was at a fancy place). This is at the restaurant of my current hotel actually which I can also recommend called Langi Langi (both the hotel and food are amazing! ), which I ended up at when the manager took a liking to me and gave me a 40% discount on the room. I know, I hate me too, but the trick about this part of the world is you always have to ask! 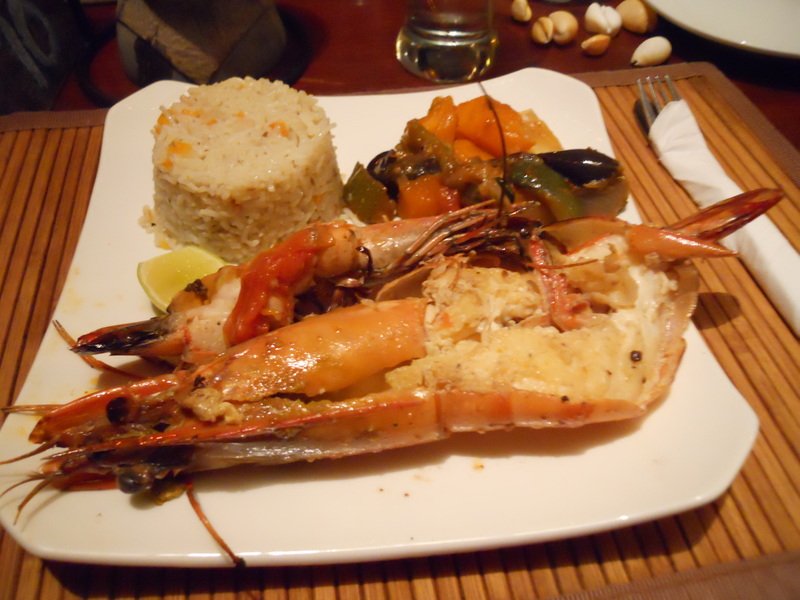 Now looking at these grilled prawns is making me very hungry, and the dives today have made me tired. I’ll chat with you all later! Actually BO is from Kenya as well as his father. Um? The records in the State of Hawaii would like to have a word with you. That prawn is E-normous!! If you don’t mind asking, what are the prices for accommodation? I’m trying to budget for our trip later in the year (taking in East Africa and Malawi and South Africa) and am getting a whole range of different numbers, so it’d be nice to know from someone who’s actually there!